Utilising A Seedling Grow Tunnel. Higgledy Flower School. #34. 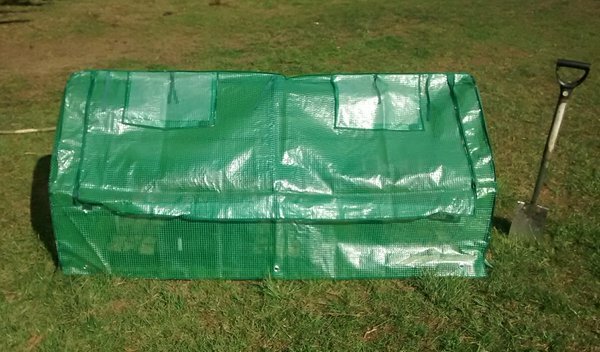 These type of tunnels can be a really cost effective way of managing a reasonable size cutting patch if you haven’t got a greenhouse. I think they’re great. I’ve had troubles with the larger walk in versions with ripping and getting blown away in the storms that come of the Atlantic down here in Cornwall. 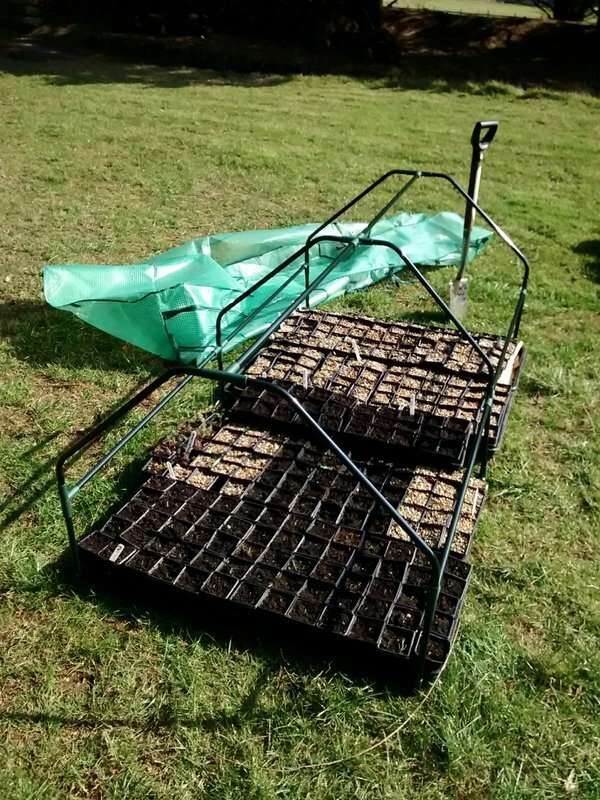 With these small ones….if a big storm is coming I simply take them down and move the seedling trays to a sheltered spot. I paid just under £30 from my local garden centre for this one…you may find them cheaper online. This is made by ‘Grow It’ and they call it a ‘Seedling Cloche’. Initially I was disappointed that it didn’t quite fit a ‘Garden Tray’ (I think that’s what they’re called…the trays that carry four seed trays) without having to sit on the metal tubing…however this has turned out to be a plus as it keeps the tray off the cold ground and also weighs down and secures the whole structure. Without too much trouble I can fit 270 three inch square pots into it. Roughly enough plants to fill a thirty by one metre cutting bed. The front opens up which makes watering easier…and I can leave it open for a week or so whilst I am hardening the plants off ready to plant out. It makes life very simple. After everything has been planted out after mid May I can simply take it down and store it in the shed. This season I am germinating most of my seedlings in the house which is a pretty consistent 19 degrees…and then putting the trays into the Grow Tunnel. I am starting seeds off early than it is wise to…this is because I need them early for the Port Eliot Festival….I would certainly have more success if I held off for a couple of weeks or more. April is best for this kind of caper. Link: Higgledy Seed Shop Of Dreams.